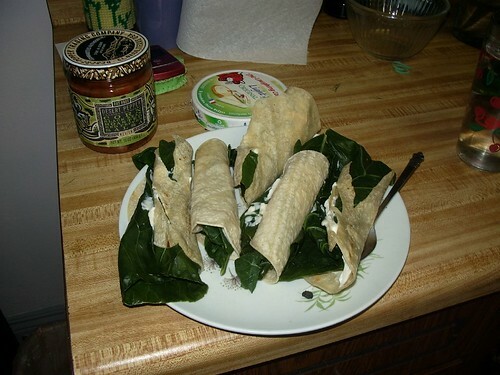 csa dinner last night: I steamed the chard and ate it on corn tortillas with salsa and spreadable laughing cow cheese. yum. today I also have the roasted wee potatoes for lunch, but I have to eat after my dentists appointment b/c they are full of garlic.